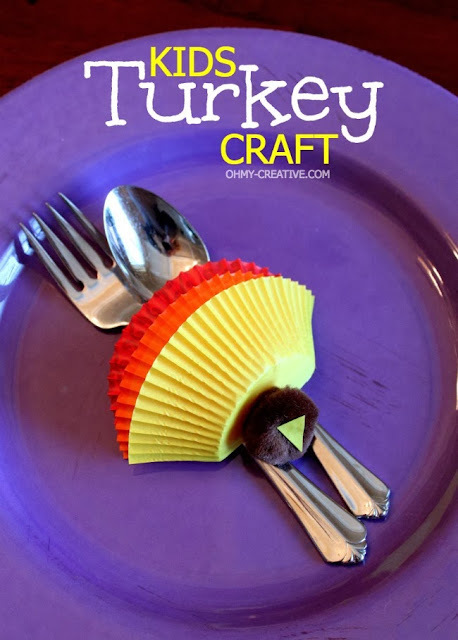 If you are looking for a fun Thanksgiving kids craft or just an easy table decoration for the kids table, these colorful baking cup turkeys would work well for either. Or both! And except for the little beak, there is no cutting required, which makes them perfect for even your littles Thanksgiving guest. You can check out how to make this kids Thanksgiving turkey craft over at Oh My Creative.